Wednesday, October 25th, from 4:00 pm to 8:00 pm, Chipotle, located at 300 West Washington Street, East Peoria will be hosting a Metamora Kiwanis Club fundraiser. Chipotle is donating 50% of the proceeds they make to our local Kiwanis Club. That is incredible! 50% of the proceeds and all you have to do is tell them you are there for the fundraiser. This is an amazing opportunity to help our local community and you won't have to cook dinner! So come on out and enjoy some great food to help out a great cause. 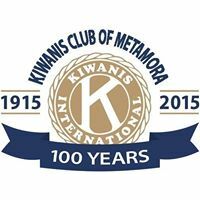 Join Kiwanis Club and help out our community and the world.